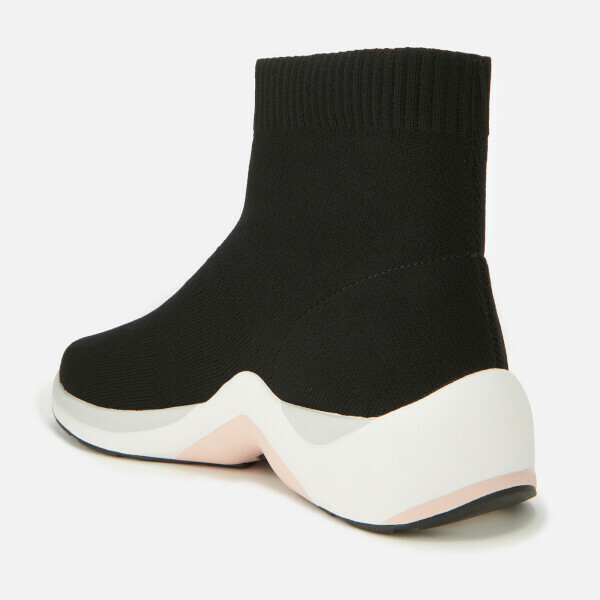 Black sock trainers from Kurt Geiger London. 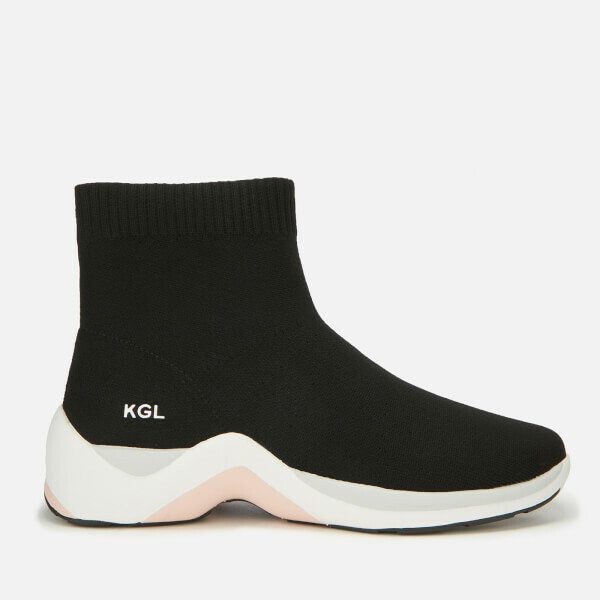 Designed with a fine-knit upper and sock-like fit, the slip-on 'Linford' sneakers feature an elasticated ankle and a foam padding for maximum comfort. Set on a chunky sole with pale grey and pink accents. 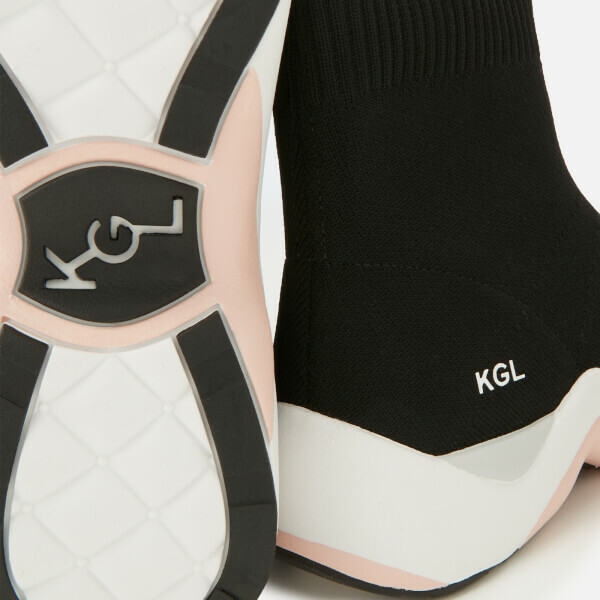 'KGL' branding to the side and tread.